Namaste England and Badhaai Ho movie release highlights: Here's what celebrities, critics and fans said about this week's big Bollywood releases, Badhaai Ho and Namaste England. It is Namaste England vs Badhaai Ho at the Bollywood box office. Both Namaste England and Badhaai Ho released on October 18. These films were earlier scheduled to release on October 19 but the release date was changed because of the Dussehra holiday. With a long weekend ahead, both these films are aiming to please the audience. Namatse England stars Arjun Kapoor and Parineeti Chopra in lead roles. The film is a love story set in Punjab and England and is set in the same universe as the 2007 film Namastey London. The film is directed by Vipul Amrutlal Shah and written by Ritesh Shah and Suresh Nair. Badhaai Ho stars Ayushmann Khurrana, Sanya Malhotra, Neena Gupta, Gajraj Rao among others. Badhaai Ho is a quirky slice of life comedy of a family where an older woman (Neena Gupta) gets pregnant when her grown-up son (Khurrana) is about to get married. Directed by Amit Ravindernath Sharma, the film is written by Shanatanu Srivastava and Akshat Ghildial. Read all the updates about Namaste England and Badhaai Ho. Kapil Sharma wrote on Twitter, "Best wishes to my bro @arjunk26 the beautiful @ParineetiChopra n the entire team of #NamasteEngland can’t wait to watch both my favorites. Keep shining like ⭐️⭐️⭐️⭐️⭐️"
Ayushmann Khurrana, Neena Gupta, Gajraj Rao and Amit Ravindernath Sharma say Badhaai Ho in different ways. They also spoke about their quirky family drama Badhaai Ho which will hit screens on October 18. MTV host and producer Rajiv Lakshman tweeted, "Didn’t think @ayushmannk could top #Andhadhun. At least not this year. But I stand corrected. Go watch #BadhaaiHo to laugh till tears stream down your cheeks. Badhaai to the Badhaai Ho team." 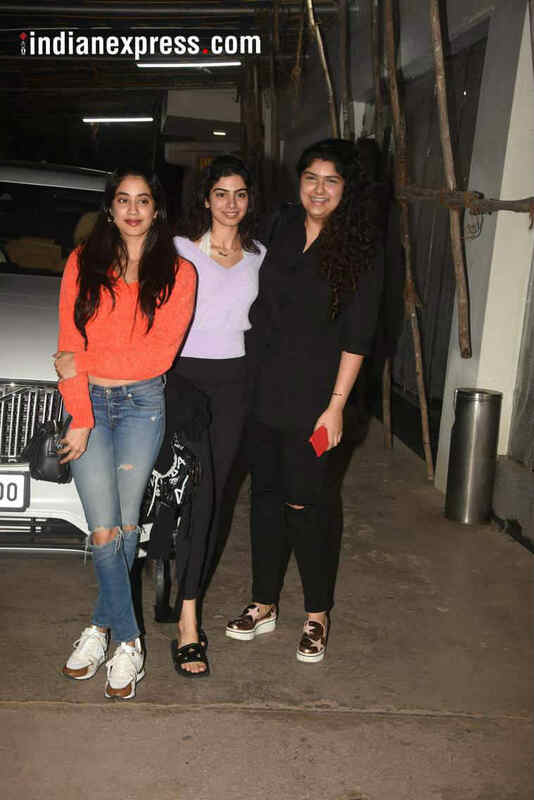 Arjun Kapoor's three sisters, Janhvi, Khusi and Anshula attended a special screening of Namaste England in Mumbai on Wednesday. 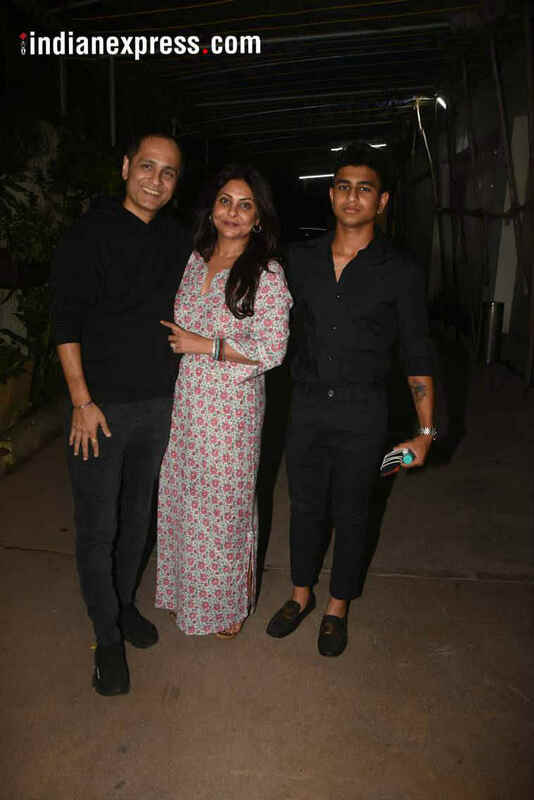 Also seen at the screening was director Vipul Shah's wife and actor Shefali Shah and their son. Indianexpress.com's Kameshwari says, "With a stellar star cast, Badhaai Ho doesn’t give you any dull moment. Ayushmann Khurrana’s ability to connect with the audience makes him incredible. His choice of scripts not only adds to his success quotient but also meets the expectations of the audience. Neena Gupta sheds her ‘character actor’ avatar and becomes a woman you must have met, seen or have lived with. She is magic on screen. Gajraj Rao’s comic timing and compatibility with Ayushmann make the dialogues full of punches. Overall, it’s a perfect festive film to be watched with family." Actor Shreyas Talpade shared a picture with Parineeti on Twitter, wishing her for her new film Namaste England. In an interview with PTI, director Amit Ravindernath Sharma said, "We approached Tabu ma’am in the beginning as we thought she would be nice in the role. But she’s the one who suggested Neena ma’am name and said ‘You need someone slightly more older, so that when people see her getting pregnant, there’s this disbelief’. There is an age difference between the two and I liked Tabu’s suggestion. Neena ma’am is perfect for the role." In an interview, director Vipul Shah shared how Namaste London's original pair, Akshay Kumar and Katrina Kaif was his first choice for the sequel too. Namaste England was finally made with Arjun and Parineeti. Vipul said, "Katrina could not have been an Indian desi girl. We both did speak about it. And she said this role is something that people may not accept her in. I was going to do the film with Akshay but his dates were blocked for two years so he recommended I go to another actor. I met Arjun and I told him I was going to do this with Akshay but he doesn’t have dates. He heard the script and agreed to do it and that’s how he came into the picture. I wanted someone desi who can also look modern and who has got a certain honesty in his face. He was the most suited boy for the part. Parineeti was already part of it when I was going to do it with Akshay." Actor Diana Penty tweeted, "#BadhaaiHo is such a sweet, fun film, full of laugh-out-loud moments!! Superb performances by @ayushmannk @sanyamalhotra07 @raogajraj @Neenagupta001 Congratulations and all the best to the whole team! @iAmitRSharma @JungleePictures @ChromePictures"
First half - In tears cos of excessive laughing. Ayushmann Khurrana told IANS, "People have now started calling me Men’s Grihshobha (women’s magazine) because I have been a part of films which depicted issues of men. But this (Badhaai Ho) is the cleanest film of mine because it is neither based on sperm donation (Vicky Donor) and nor based on erectile dysfunction (Shubh Mangal Saavdhan). "You don’t have to tell your child what’s happening in the film while watching it… It’s a completely fun and quirky family entertainer." Film distributor and multiplex owner Raj Bansal tweeted, "The date change for the release of new films #BadhaaiHo & #NamasteEngland backfires. Both the films opens to average collections in the Morning shows. Although #BadhaaiHo is way ahead of #NamasteEngland"
In an interview with indianexpress.com, Badhaai Ho actor Neena Gupta said, "No one has shown anything such as this (an elder woman getting pregnant) in Hindi films. However, the film has more to offer than just the pregnancy aspect. The film is beautiful, comical and even makes you cry. I have always wanted to play this middle-class housewife. However, because of this idiotic image of a strong woman, I never got these kind roles. So, this is my first time. A substantial role. So, everything just fitted well. I am very lucky to have this part. I did my best for the character." Film trade analyst Girish Johar predicted a collection of Rs 5-6 crore for Arjun Kapoor and Parineeti Chopra starrer Namaste England on Friday. This big movie releases this week are Namaste England, Badhaai Ho, Vada Chennai, Sandakozhi 2 and The Villain.